COMIO Smartphones, the new mid-segment brand, has launched a new digital film that reflects the sentiments of today’s youth. The film salutes the power and attitude of youth that can change everything that undermines them, from personal relationships to career choices. 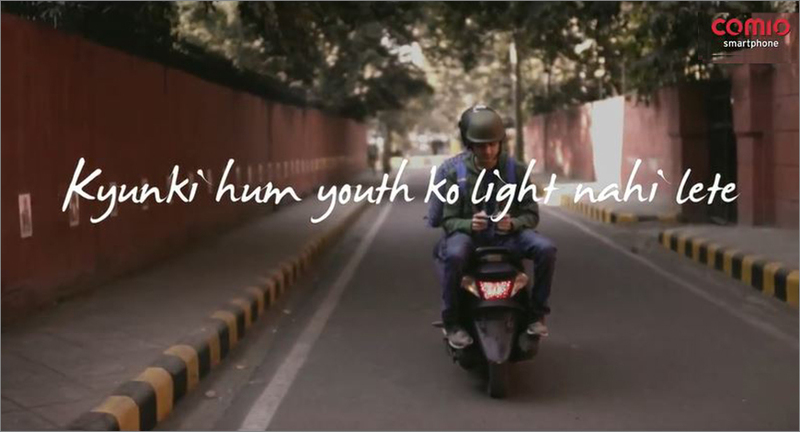 The newly launched COMIO S1 Lite and C2 Lite have been created 'by the youth, for the youth' and the film aptly chronicles this attitude in a powerful and succinct way. Comio has done intensive research amongst them to figure out their choices and pain points. Young people today are constructing their own identities more than ever before and the conventional boundaries no longer apply. Through the digital film, COMIO aims to support the youth and encourage them to dream big. The film theme is that COMIO does not take the youth lightly and seriously considers their feedback in designing their products. Dedicated to India’s youth, COMIO thrives on its ability to constantly innovate and challenge market dynamics.